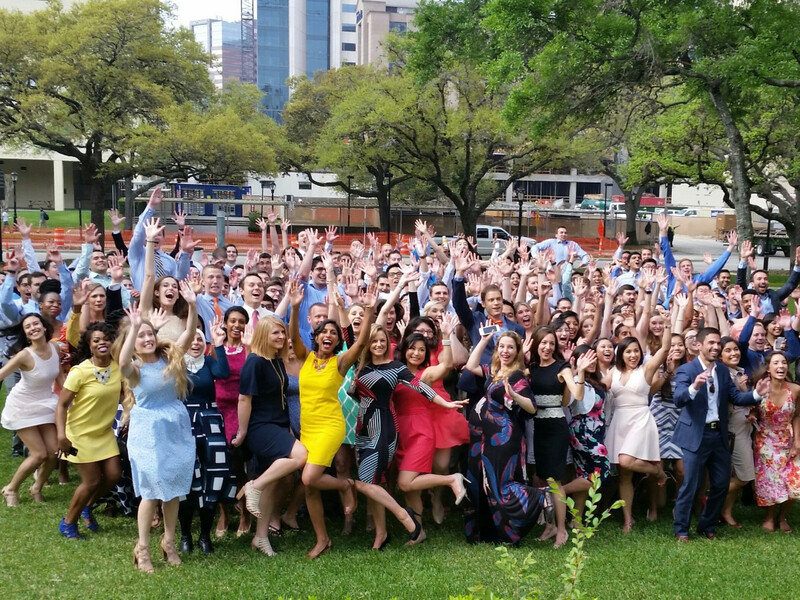 For fourth-year students at the John P. and Kathrine G. McGovern Medical School at The University of Texas Health Science Center at Houston (UTHealth), shown here, and Baylor College of Medicine, Friday was one of the happiest and most exciting days of their lives. 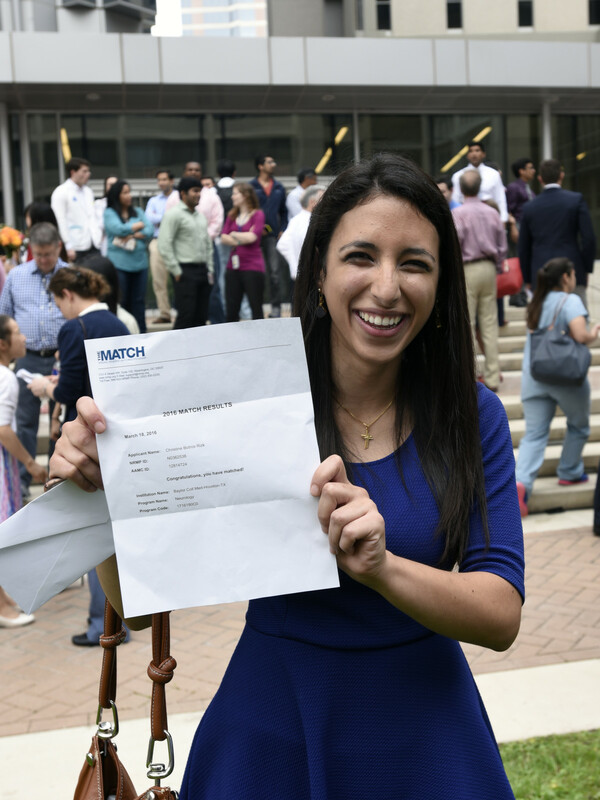 They found out where they will be spending their medical residency, which can last from three to seven years, in a tradition known as Match Day that takes place every year on the same day at medical schools across the nation. It's an optimistic time because behind each match is a student who has worked hard, determined to make the world a better place and provide a brighter future for patients and themselves. Representatives of both schools were on hand and sent CultureMap some of the students' very personal stories. 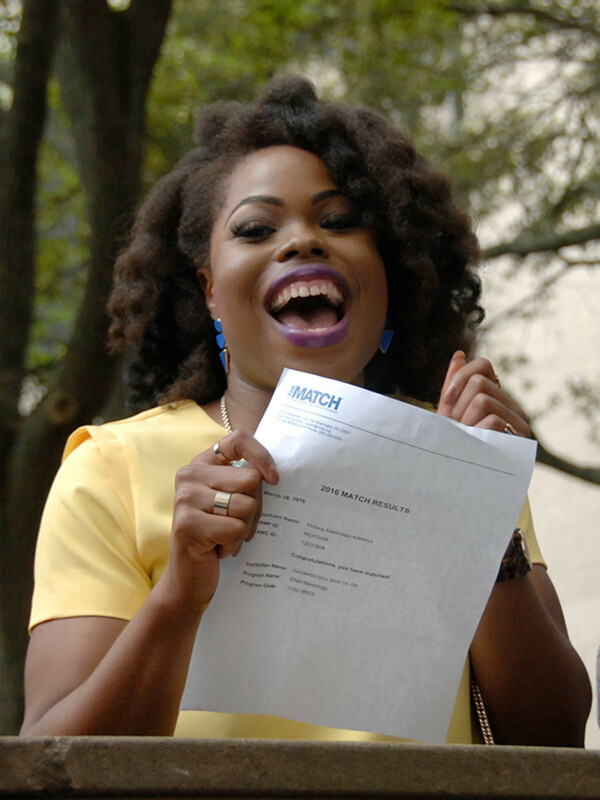 When Oluwabukola “Bukola” Adeyinka, 26, opened her envelope at UTHealth, she was one step closer to becoming a primary care physician dedicated to the health and well-being of families. 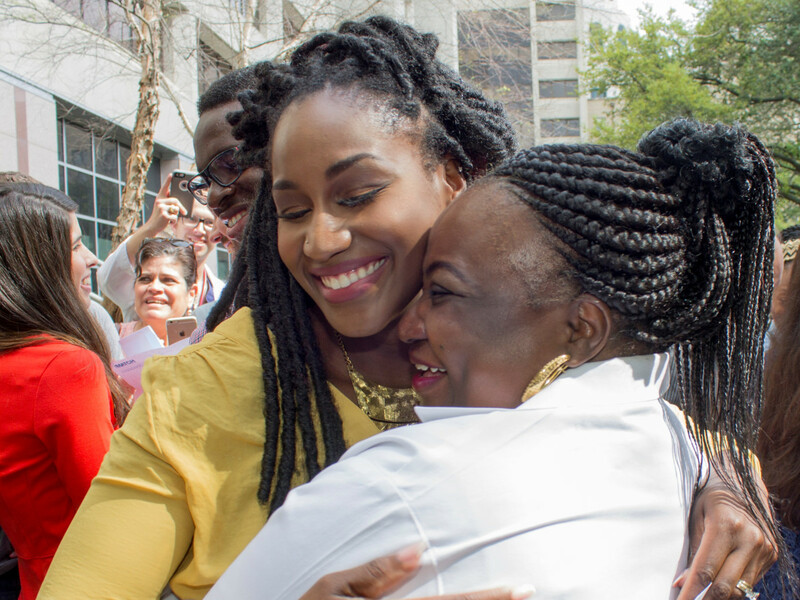 Adeyinka, who was one of more than 200 UTHealth students who found their match on Friday, will become the second family medicine physician in her family. Her mother, Dr. Olasunkanmi Adeyinka, is a clinical assistant professor in the Department of Family and Community Medicine at McGovern Medical School and provides comprehensive primary care to patients at the UT Physicians Family Medicine clinic. She will be staying right here in Houston at McGovern Medical School and Memorial Hermann-Texas Medical Center. At Baylor College of Medicine, class president Paige Kennedy and Dr. Mary Brandt, senior associate dean of student affairs, lead the countdown to 11 am, when the Match Day envelopes were revealed and opened soon afterward. 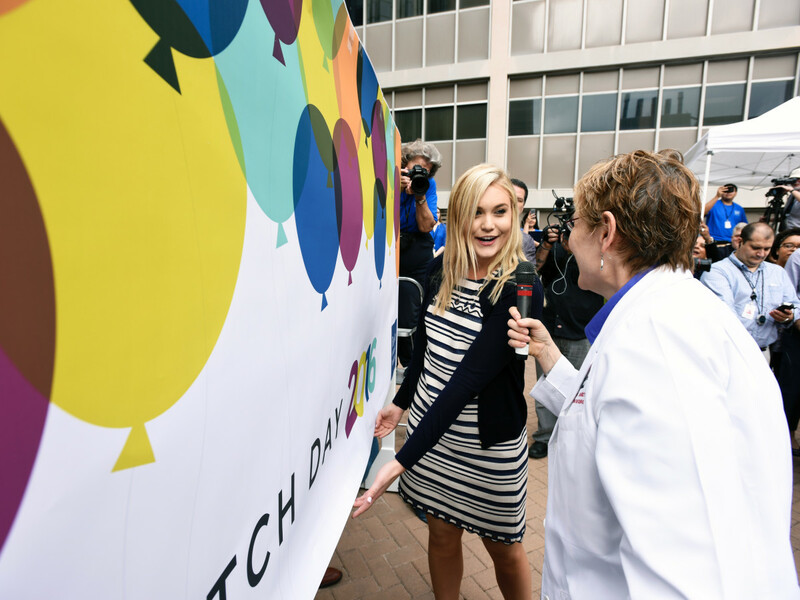 This year, 177 students from Baylor College of Medicine participated in the match. When he was accepted to Baylor College of Medicine for medical school, he chose to defer for a year to work for Tiny Hands International, a nonprofit organization that runs children's homes in Nepal and monitors the border between Nepal and India for possible trafficking cases. Chilcote worked stateside to organize fundraisers and awareness events for the organization and spoke on campuses and at conferences across the country. While he envisioned his work with the organization as separate from his career in medicine, he found opportunities to give talks about human trafficking during his psychiatry rotations and to organizations such as Doctors for Change. He hopes to stay involved in educating people on human trafficking as he pursues a residency in pediatrics at Baylor College of Medicine. May is going to be a big month for Amelia Bush (right) and her twin sister Alicia. Amelia is scheduled to graduate from McGovern Medical School and Alicia from UTHealth School of Dentistry. “We’ve always done everything together and we’ll be getting our degrees at the same time,” Amelia said. Gravitating toward the diagnosis and treatment of skin problems, Amelia plans to pursue a career in dermatology. She matched to Virginia Mason Medical Center in Seattle for her preliminary year and to Louisiana State University’s dermatology program for the remaining three years. Amelia could see the sisters working together years from now. “I would love to have a joint practice with my sister," she said. As an accident-prone child, David Loyola found himself visiting the emergency room several times at a young age. However, those visits to the ER and watching television shows about physicians who work in emergency rooms stuck with him as he began to consider what he was interested in studying. Loyola attended the South Texas High School for Health Professions, known as MedHigh, in Mercedes, Texas and then was accepted into the Baylor College of Medicine Premedical Honors College, a partnership with the University of Texas-Pan American (now the University of Texas Rio Grande Valley) that provides provisional admission to Baylor upon completion of undergraduate requirements. While doing rotations in medical school he realized that emergency medicine was the field he wanted to pursue as it brought back memories of the emergency room dramas he watched as a kid. 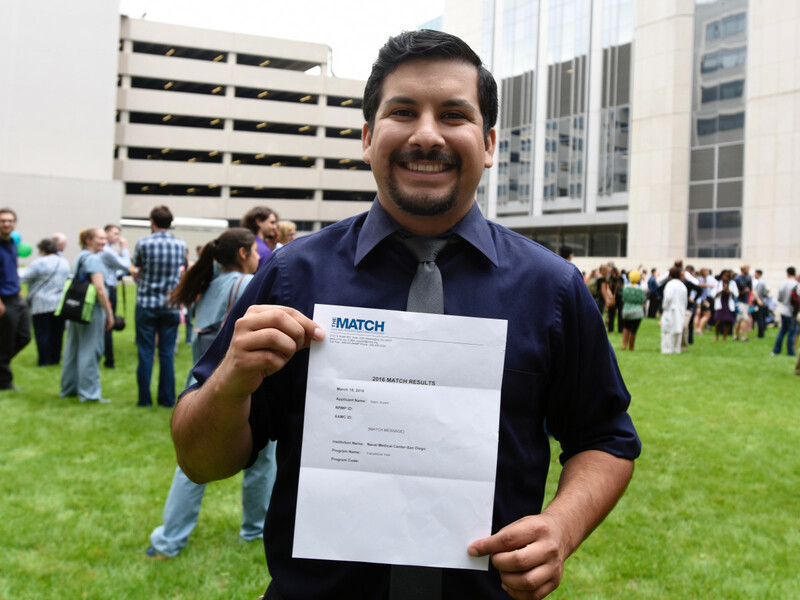 He matched in emergency medicine at Christus Spohn Memorial Hospital in Corpus Christi. The youngest of three and the first soon-to-be medical doctor in her family, Victoria Adeseye was introduced to the impact of child neurology, her field of study, through her older sister’s experience with Down syndrome. “No matter what, you can transplant a heart, you can transplant lungs, you can transplant kidneys, a liver, but the brain is generally what makes a person who they are,” said Adeseye. Adeseye, 25, was part of the Texas Joint Admission Medical Program (JAMP), which helps provide students from economically disadvantaged backgrounds with funding and other resources for medical school. Adeseye is excited about the next phase in her medical career, which will take her to Vanderbilt University Medical Center in Nashville. As a child, Bryant Nieto had two dreams — to become a doctor and to be in the Navy. He never thought he could do both until he found out about the opportunity to join the Navy on scholarship during medical school. 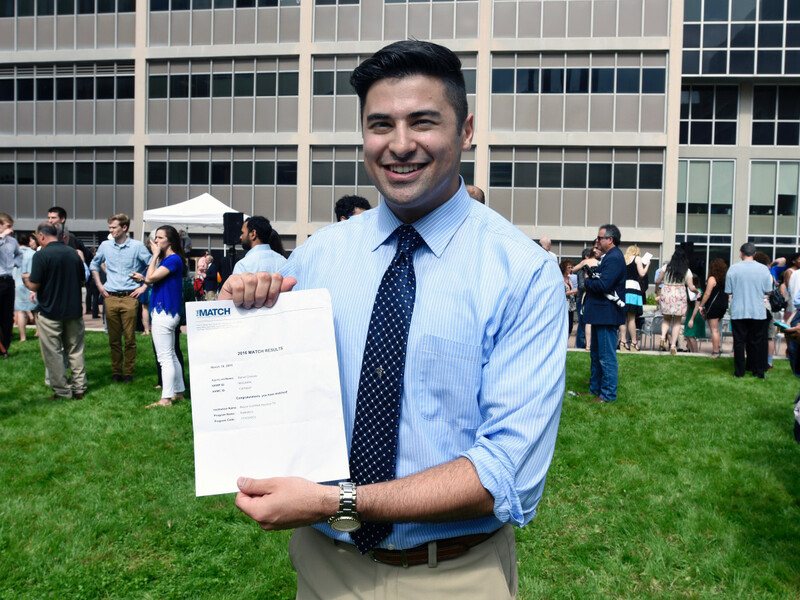 Nieto has been able to fulfill both dreams while at Baylor College of Medicine, where he was considered to be on active duty with the Navy while he completed his medical training. When he graduates this May, he will do a transitional year at the Naval Medical Center in San Diego and tour with the Navy as a flight surgeon, providing primary care for Naval pilots as well as logging flying hours himself. For Nieto, this is the perfect combination of careers because being in the Navy provides him another sense of adventure different from what he would get in the field of medicine. Nieto went through Baylor College of Medicine's Premedical Honors College, a partnership with the University of Texas-Pan American (now the University of Texas Rio Grande Valley) that provides provisional admission to Baylor upon completion of undergraduate requirements at UT-PanAm. He will be the first doctor in his family. Highlights of his four years in Houston include becoming engaged to a high school classmate on the steps of McGovern Medical School. The time he spent watching people get answers in the emergency center influenced his choice of residency. 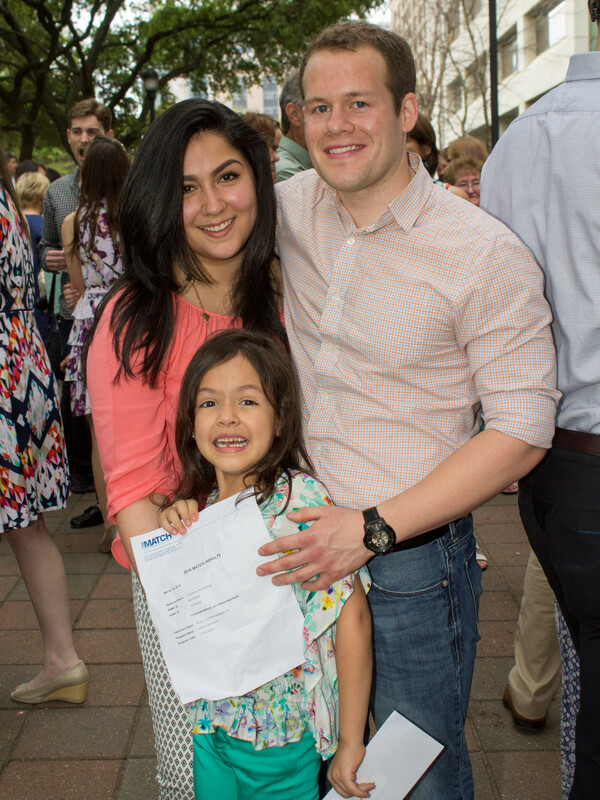 McBride matched to Baylor College of Medicine, which will keep him in Houston with his daughter Lynelle McBride and fiancée Rebeca Moreno. For Omar Merchant, who he is as a medical student and a future doctor is defined by the work he does to serve the global community. This is especially true after a recent trip to Greece, where medical mission work took him to a Syrian refugee camp. He spent 17 days providing basic care as well as Arabic and Urdu translation at the camp. The opportunity gave him a first-hand perspective on what refugees go through, and he says that seeing the devastation and providing a friendly face to the people in a world that has been cruel to them has been the most gratifying thing he's ever done. 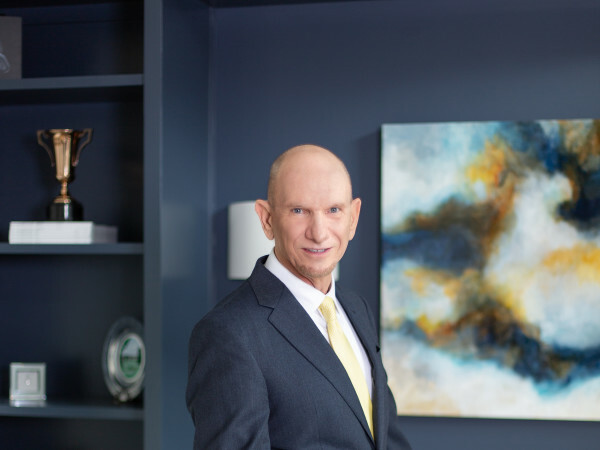 His experience as a medical student at Baylor College of Medicine has opened his eyes to the suffering in the world, and has given him the resources to make a difference. Through a course at Rice University, Merchant along with a professor and a postdoc at Rice started a company to develop a drug that activates the creation of new blood vessels in the body, a new frontier in medicine. They hope to be in clinical trials for this drug soon. 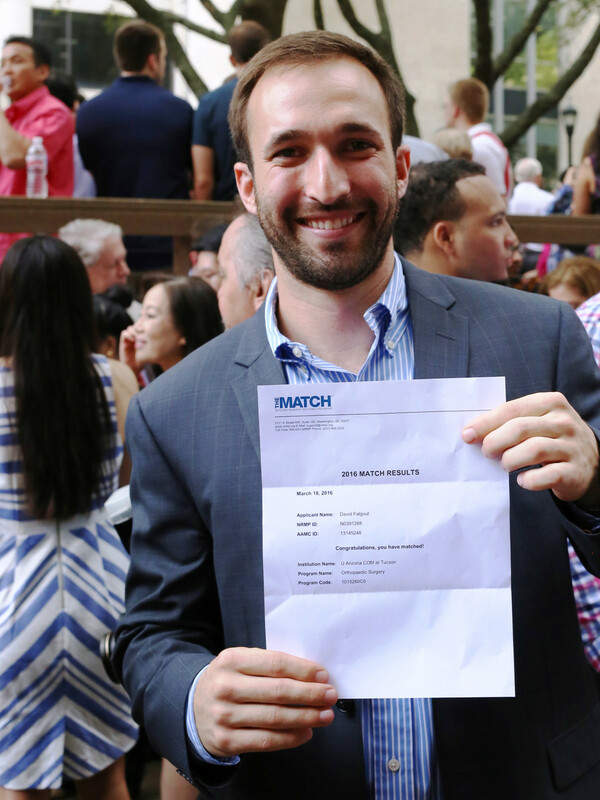 Merchant matched in internal medicine at Baylor College of Medicine. A 26-year-old Tyler native, Kara Calhoun had already completed a year-long research program at the National Institutes of Health (NIH) before she came to McGovern Medical School. While at NIH, she worked with a researcher who had both a doctoral degree and a master’s degree in public health. “She was so inspiring for me because I saw how you were able to blend medicine and research. 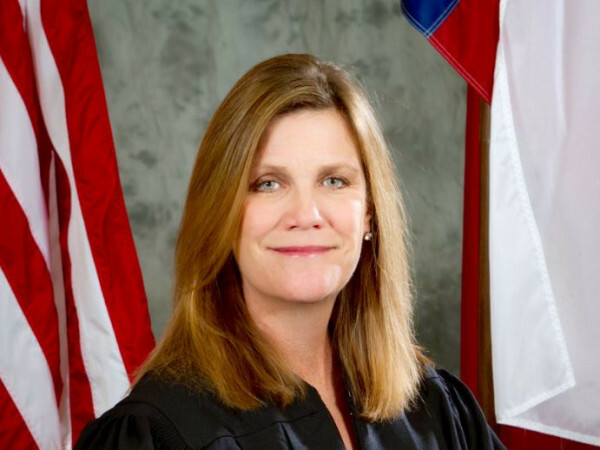 Being there helped me decide for sure that I wanted to do a dual-degree program,” she said. 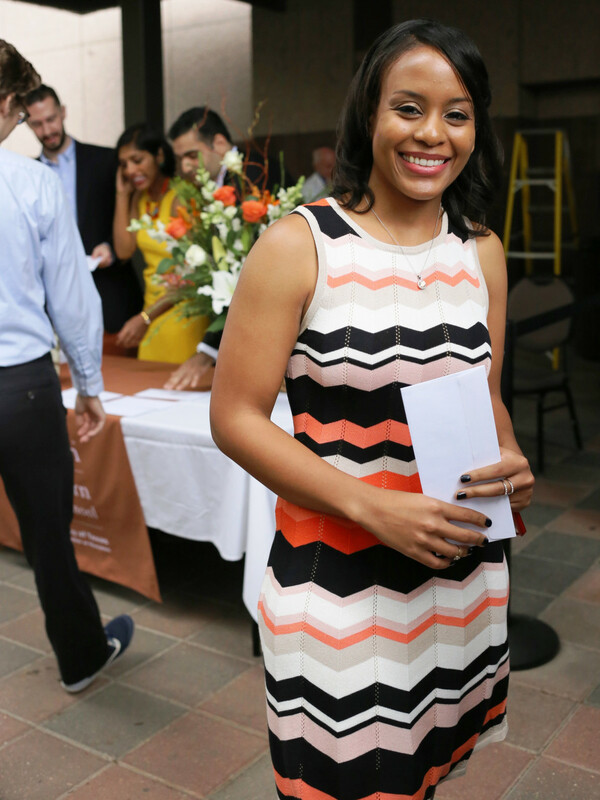 A graduate of Rice University, Calhoun is one of 14 students at McGovern Medical School who is part of the M.D./M.P.H. program, which has allowed her to collect both degrees in four years. Calhoun, who will stay at McGovern Medical School and Memorial Hermann-TMC for her internal medicine residency, is especially interested in cancer epidemiology. She wants to develop interventions for high-risk patients and study cancer prevention strategies, particularly for ethnic and racial minorities. Growing up, David Falgout, 26, worked in his father’s veterinary practice in Beaumont, cleaning kennels and helping to take care of the animals. Every once in a while, his dad would let him observe animal surgeries and Falgout was enthralled. When he went on to attend Rice University for his undergraduate degree, Falgout played football for two years. He was so inspired by his team’s sports medicine physicians, he decided to pursue a career in orthopedic surgery. Falgout has dedicated his accomplishments to a friend who died in a car accident when both boys were 9 years old. 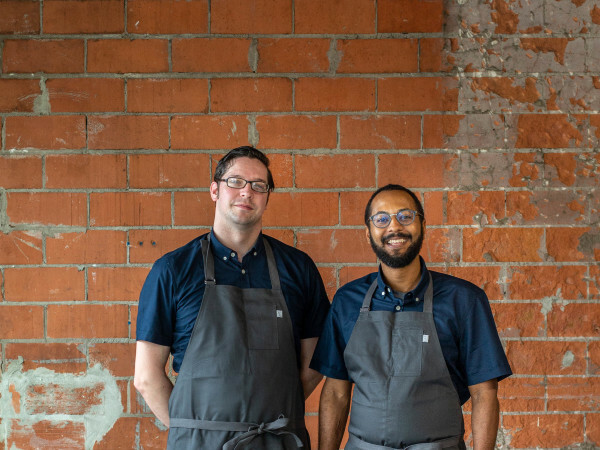 After his friend’s death, Falgout drew inspiration from his friend’s parents, who taught him about not wasting any time and about how valuable each relationship is. 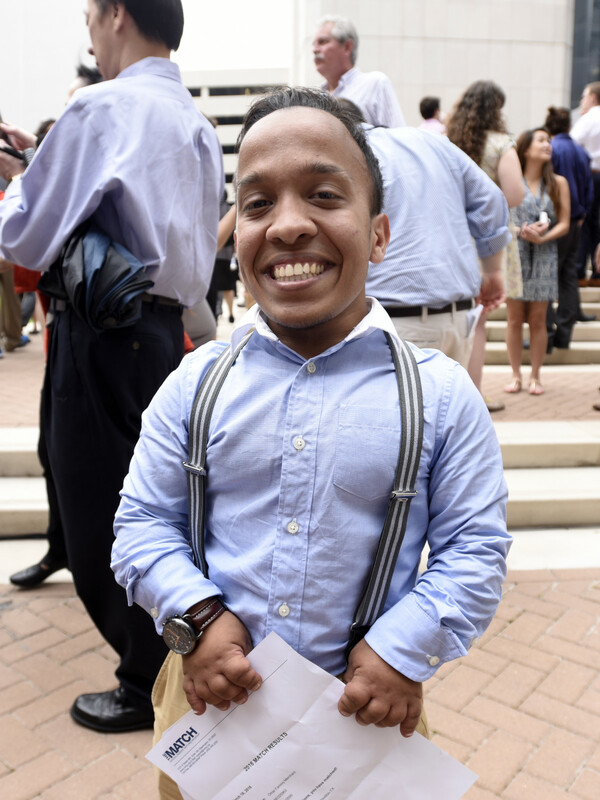 “I want to make a difference because life is short and any chance you have to reach out and help someone or make a positive impact, you should,” he said. Falgout will be headed to the University of Arizona College of Medicine at Tucson. For Christine Rizk, a diagnosis of Stargardt Disease, a form of genetic macular degeneration, at age 16 never slowed her down. 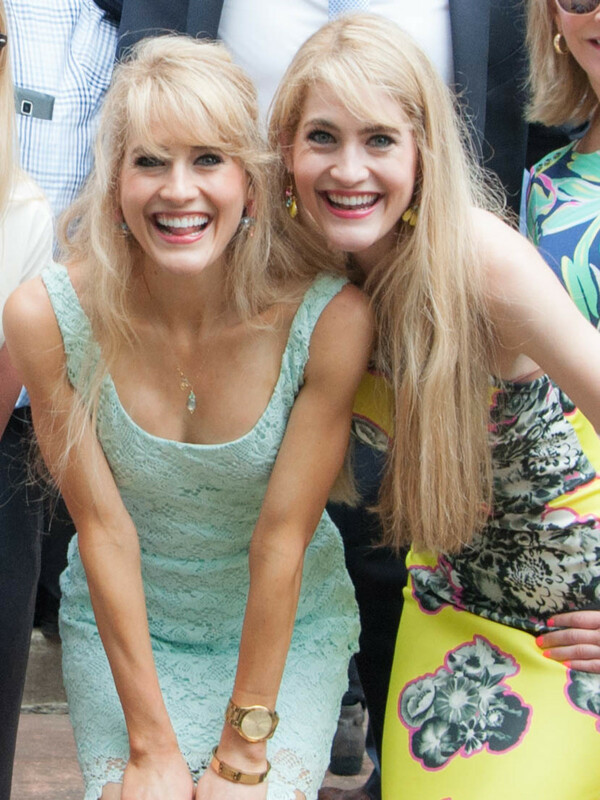 When she chose to pursue a career in medicine, she decided to follow her older brother's footsteps and attend Baylor College of Medicine, where she knew the faculty and staff would be supportive of her condition, which makes reading at a distance, participating in the anatomy lab and viewing pathology images more difficult. The fact that all of Baylor College of Medicine classes are recorded enabled her to view courses on her personal screen. She was also able to meet with a low vision specialist who fitted her with a telescopic lens that aided her during surgical procedures in the operating room. She has been able to excel alongside the rest of her classmates throughout her career as a medical student. 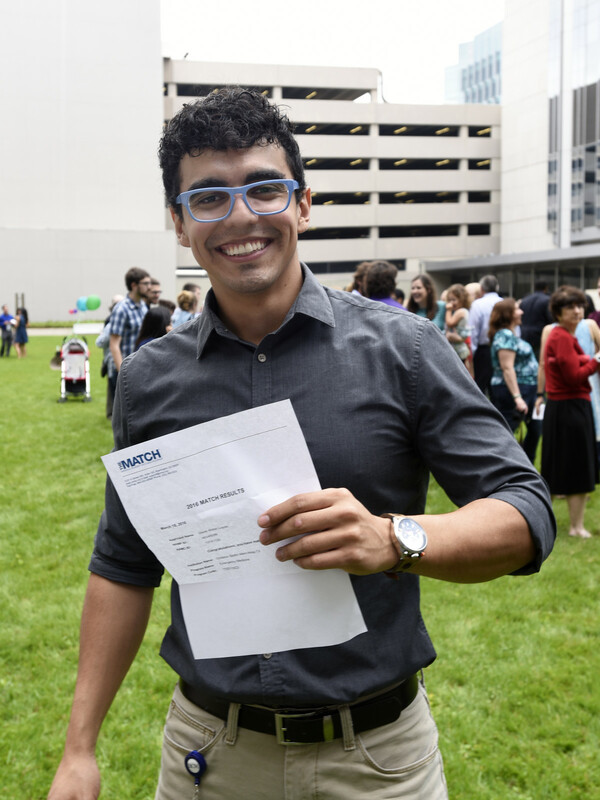 Rizk matched in neurology at Baylor College of Medicine.